The Council has developed good working relationships with the Ministry of Health in Malawi. Following a visit by the then Lord Provost and senior Council staff in 2006, a need was identified for a stand alone HIV/AIDS Clinic in the grounds of Chikwawa District Hospital, as well as an extension to office facilities. In August 2007, a team of nine builders from City Building (Glasgow) LLP travelled to Malawi to construct the clinic and extension, working in partnership with Malawian builders and labourers. Most of the building materials were donated by companies contracted by the Council. 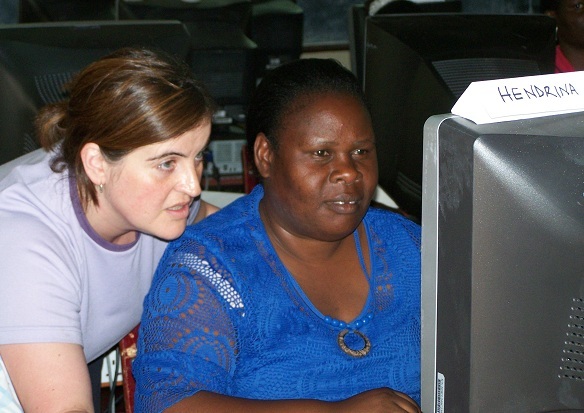 During the same visit, a team of 4 IT staff from Access (Glasgow) LLP created IT training rooms and delivered a programme of training at four schools in Bangwe; Ndirande; South Lunzu and Zinwangwa (all located in and around Blantyre). IT equipment was installed at BEIT Cure Hospital and Blantyre Polytechnic. PCs supplied to Schoolnet Malawi, Play Soccer Malawi and Open Arms Orphanage in Blantyre. Review of orphan feeding programmes funded through LP's Malawi Fund. Progressed discussions with Lilongwe City Assembly on potential exchange of experience project in capacity building, technical assistance and governance issues. Donated £5000 to help alleviate suffering of victims of severe flooding in Southern Shire district.